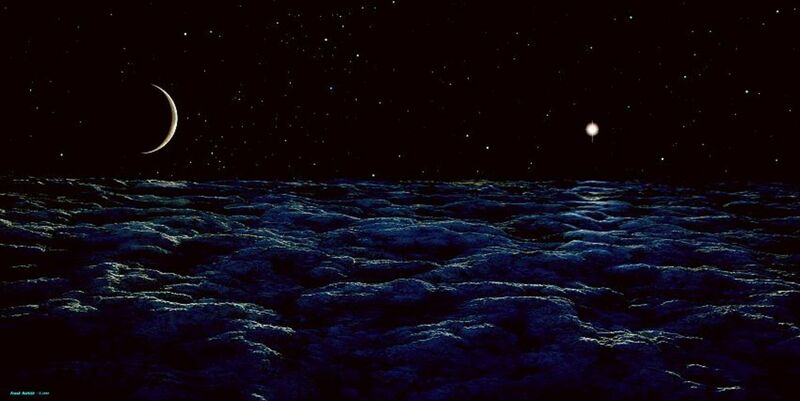 The legend of Nibiru, the rogue Planet X, is both intriguing and chilling. 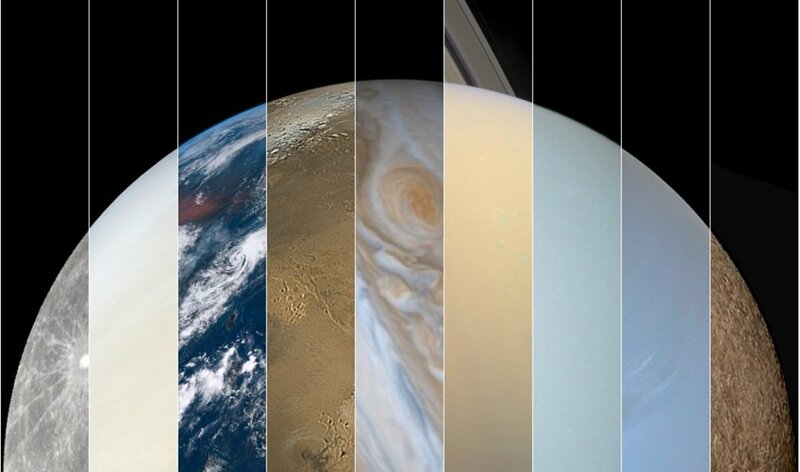 From a scientific perspective we now know there are planets on the fringes of our solar system, and they are closer and more numerous than we'd ever imagined. However, given the array of cosmic dangers lurking out there in space, is it reasonable to believe an extra-solar planet is going to become dislodged from its orbit and cause havoc here on planet Earth? 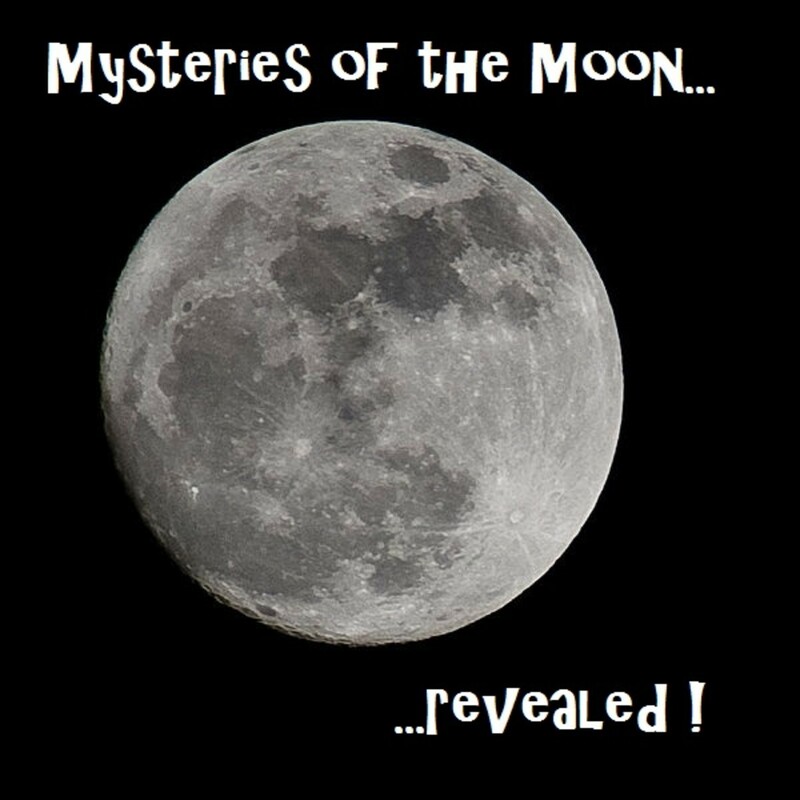 In this article you'll read about the compelling reasons to expect the mysterious Planet X is really out there. In the end, you yourself will have to decide if you believe Nibiru is a real concern, or if it is nothing but a myth. Second only perhaps to the Nemesis Hypothesis, Nibiru is among the most terrifying cosmic threats our planet faces. But is it really worth worrying about, and where did this idea come from anyway? We start way back in the 19th century. At the time, Saturn was the farthest known planet from the sun, but astronomers knew there had to be at least one more large celestial body in our solar system. 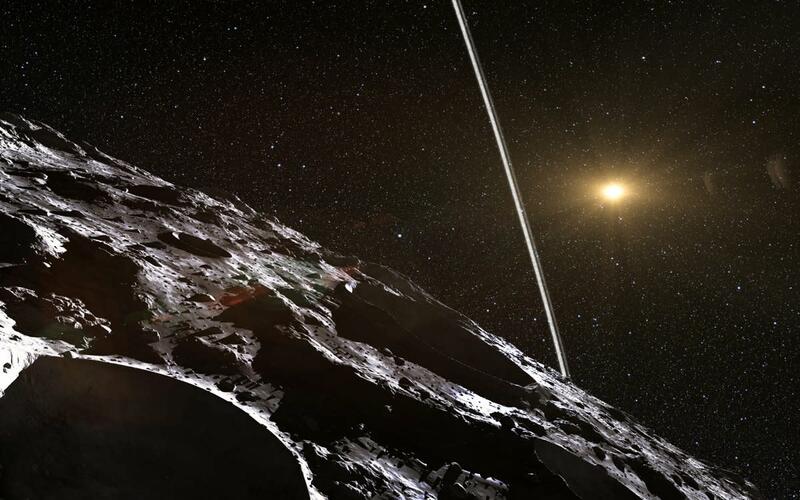 Because of a strong gravitational pull on the ringed giant, they believed another planet must exist. After searching for a while they found Neptune, but according to their calculations this didn’t really solve the problem. Something was perturbing the obits of both Saturn and Neptune. There had to be yet another planet out there. The search began for Planet X. Back then they had no idea how many wayward objects there are in our solar system. Astronomers had never even witnessed the collision of extra-terrestrial objects until Shoemaker-Levy 9 bombarded Jupiter in 1994. They could not have had a clue that this Planet X they sought might spell doom for the planet, and all of the human race. The X in Planet X did not mean the tenth planet. At the time it would have only been the ninth planet. The designation of X simply meant an unknown variable, something science believed existed but had no proof of. Finally, in 1930, a researcher would discover Pluto. Of course we now know Pluto isn't Planet X, and in fact has been demoted from full-fledged planetary status altogether. But looking at the story of Pluto gives us some compelling reasons to speculate on the possible existence of a rogue Planet X.
Pluto is much smaller than the Earth, only about .6% of the Earth’s volume. 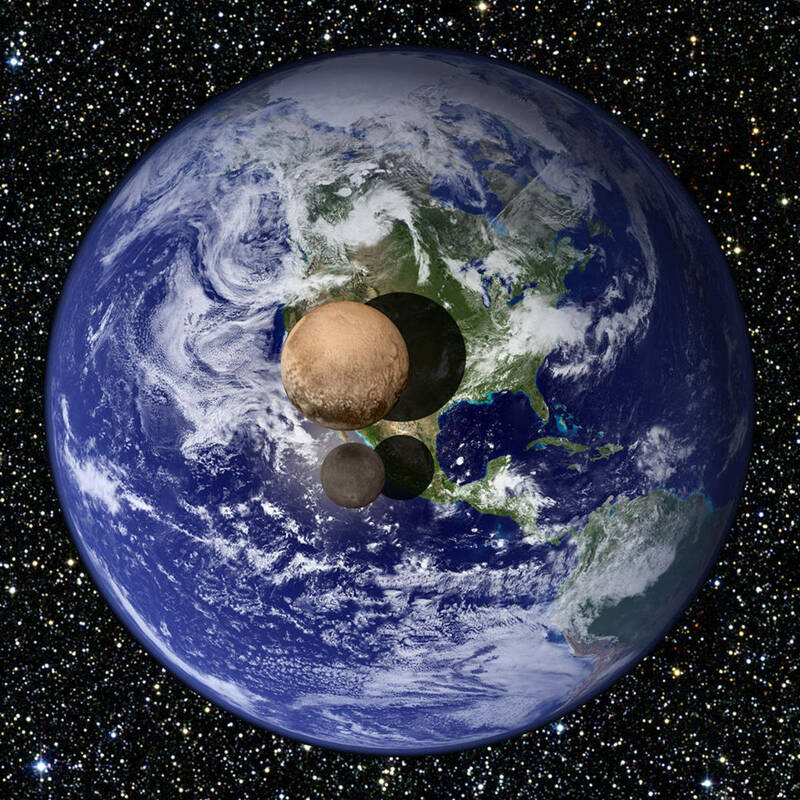 In fact, Pluto is less massive than many moons in the solar system, including our own. Pluto's small size means it has only a fraction of the gravity we feel here on Earth. It is theoretically composed of frozen nitrogen and ice, with a rock core. Pluto even has its own moons: Charon, Hydra, Nix and S/2011 P 1. It takes Pluto 248 years to orbit the Sun, and a day on Pluto spans a little over 6 Earth days. 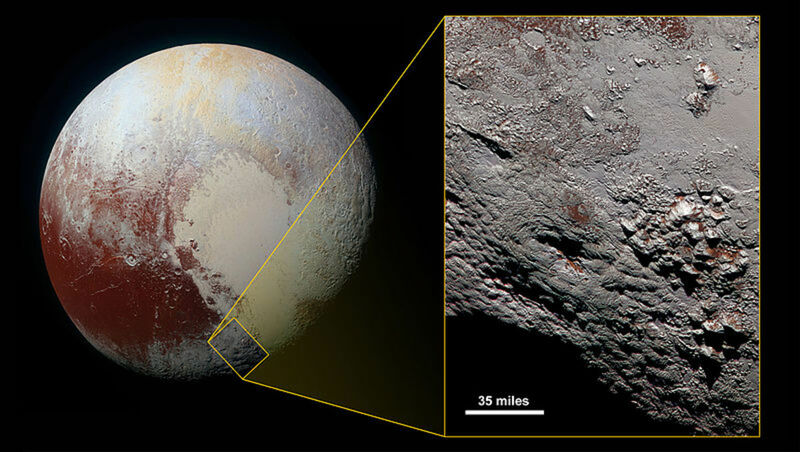 Temperatures on Pluto can dip down to 400 degrees below zero. As tiny and remote as it is, for seventy-five years Pluto was our ninth planet, until astronomers made some interesting discoveries that demoted it down a notch. How did this happen? 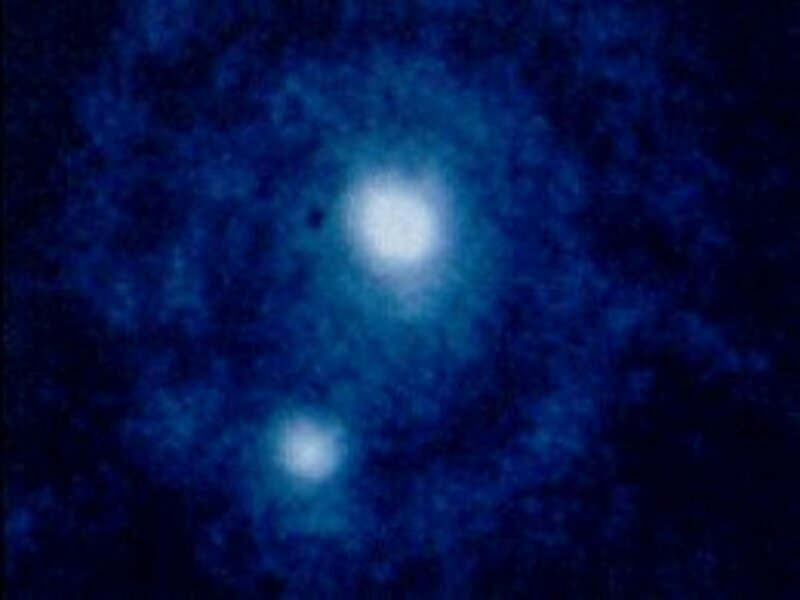 In January of 2005 Mike Brown’s team at the Palomar Observatory discovered what was first referred to as the tenth planet. Later named Eris, this new celestial object would launch a firestorm in the astronomy community. Slightly larger than Pluto, Eris too had its own satellite. But many believed Eris was not a planet at all, and if Eris wasn’t a planet, what did that mean for Pluto? Have enough mass to be a sphere by its own gravitational force. Pluto met the first two points, but failed on the third. Therefore, Pluto, Eris, and several other recently discovered objects, were reclassified as dwarf planets. Many people objected to this new classification. Some disagreed on a scientific basis, while others protested from a purely sentimental point of view. But Pluto was gone from the official discussion of planets, and we were down to eight. Dwarf planets like Pluto are Eris are now believed to be the largest known bodies of the Kuiper Belt, an array of icy objects orbiting the sun beyond Neptune. 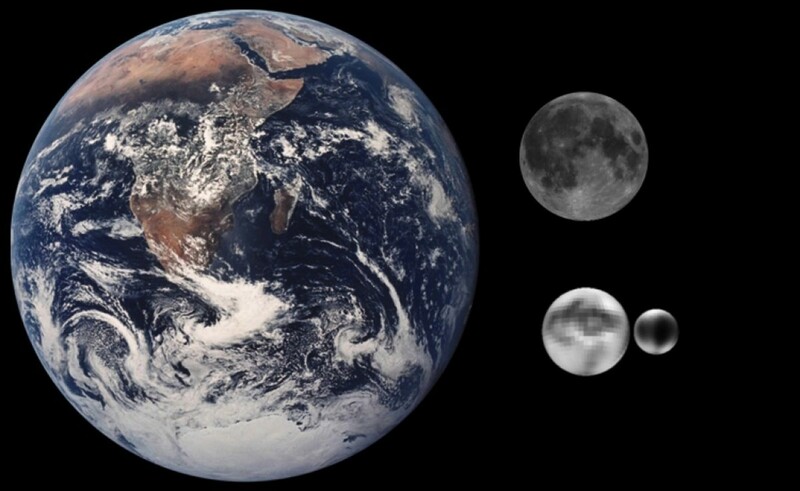 Other notable dwarf planets discovered throughout history include Ceres, Haumea and Makemake. What else lurks in the Kuiper Belt? Could the legendary Planet X be among the objects yet to be discovered? What Will We Find in the Kuiper Belt? We now know that the theory of the Planet X early astronomers so eagerly searched for was based on a calculation error. And, we know poor Pluto isn't even a planet anymore. The existence of another large planet in our solar system seems extremely unlikely. However, if the above video is correct, and there really are as many as a thousand dwarf planets in the Kuiper belt, is there a chance one of them could become dislodged and head for Earth? Objects can and do leave the Kuiper Belt. Some comets originate from there, and the moons of the gas giants may have once been small dwarf planets or objects in the Kuiper Belt. It's an alarming thought, but from our pretty blue planet the solar system often seems like a much safer place than it really is. As if that isn't enough to worry about, consider this: Nemesis is a theoretical “second sun” in our solar system. Some believe Nemesis travels through our neighborhood every 26 millions years, disturbing comets and other objects and sending them crashing toward the Earth. This hypothesis is semi-supported by fossil records of mass extinctions every 26 million years. So we have to ask ourselves: If Nemesis exists, and it passes close enough to one of the dwarf planets, could it be knocked from its orbit and come flying toward Earth, fulfilling the Nibiru prophecy? While this all sounds quite menacing, the fact is nobody knows if Nibiru, Planet X, really exists or not. If it does, it is most likely a small dwarf planet like Pluto. But this is exactly the kinds of celestial body that could be dislodged from its orbit and sent hurtling toward the inner planets, and plenty big enough to cause major issues should it come close to Earth. With any luck it would be sucked into Jupiter's massive gravity field. If not, the Earth is as good a target as any. But most astronomers say not to lose too much sleep over any of these circumstances. While all kinds of weird things can happen out in space, there is no real evidence that we should be concerned about Nibiru or Nemesis. Both Nibiru and Nemesis are based more on theory than fact, and you probably have more to worry about when you drive to work every day. Planet X – Nibiru - may or may not be out there, but most experts say, even if it does exist, the odds that it will cause a doomsday scenario are extremely small. Still, if the world were to end in the form of a massive burning sphere barreling at us from the depths of space it would be a pretty spectacular way to go out. The good news is there is not a darn thing we can do about it. Do you believe there is any truth to the Nibiru doomsday legend? Obviously we're hosed. Nibiru is coming and there is nothing we can do. This is completely ridiculous. There is no reason not to make vacation plans. I am cautiously optimistic that we will not be smashed into oblivion. So, Really, Isn't Pluto A Planet? Is Chiron an Asteroid, a Comet, or a Trapped Kuiper Belt Object? I think it will come eventually, not yet or soon. When it comes it may kill us humans in earth. I think that's what happened to Mars long, long ago. My son and i were fishing early this morning . i think we saw the planet moving across the sky , it was moving real fast .looks as if it was moving North word. I was able to take a couple of pictures. The doomsday astronomers got me kneeling here to pray and gave me complete surrender to Heaven's will. It is well to read the Bible and read stories of the past to help us getting to worship Him who is the enormous Energy and care of people and environment. We make our own destiny as Earth, destroy and make our own Nibiru catastrophy. Its not really out there but US to either destroy or love this Earth, our Home. The fact is nasa knows about nibru but they won't tell to cause tension among people for death and there Are aome good chances of its collison but it may even miss our planet. Nibiru has become popular to wipe out the earth but if it was going to hit us astronomers would have been tracking it for years now so the planet can’t exsist so don’t panic and enjoy life nothing to worry about. In two thousand and nineteen a asteroid called NT7 could easlys hit us and kill us all but don’t worry about that rather I’m sure we will be able to keep it away if we can’t we send a nuclear bomb to blow it apart so like I said don’t worry about anything and have fun. Nibiru is not real. Don't worry jose0516, they are expected a massive space rock to flyby earth, but that has a 0.00055 chance that it would hit. And it is NOT nibiru. @jose- I wouldn't worry too much. It was supposed to hit us back in 2012 too, but obviously we are fine. This is the kind of thing that is interesting to ponder, but there is no reason to worry about. Hi first off Planet X is Nibiru aka woodworm, give or take. The problem with the Planet X if it's real is that it carries this red oxide from what I've been told that can consist of small meteorites that might impact earth if it's 2 million miles away. See another thing is if Planet X is real apparently it's not even a Planet but an odd type of star. This information I got has been gathered online from may sources. Overall, I don't think there will be a doomsday and I don't think Nibiru is real. If it is real I would be shocked. Well real as in the sense of a bio metric orbit with our solar system. Can anyone explain how several early Civilizations knew about Nibibu. However, the 3650 year recreation of earth is just not enough time ....The Democrats and Repulicans need more time just to decide to vote on anything. I am not setisfied i think so that is nibru is real i am conffuised about this . There might be a planet x and many more planets as we know a tiny little grain about our solar system but claims against the planet x is false. What if someday we discover that our sun is orbiting some object like planets orbiting sun? Lol whatever ppl are over thinking about destruction and apocalypse of planet earth which will never happen that soon. drowning most likely. nibiru is very real and I Am going to party for one more year cause thats what the dutch do best. I find it interesting president Obama added an executive order named "Space Weather". I do not forsee planet X making contact with earth, but I expect our poles to shift, and ecpect lots of big natural disasters. Hence obamas Executive order on space weather. I also was intrigued when I found out Putin threatened Obama to Tell the world about Nibiru or face a Nuclear attack for not explaining it to the World. Hi jb2016: I think you'd be better served by taking those questions to someone who has a bit more knowledge of astronomy. Nevertheless I will take a crack at them, because that's what I do. 1. I'm not sure how those predictions were made, because the entire concept is theoretical. Therefore, I don't know it is possible to predict the area of the Earth that would be most impacted until the actual even is underway. 2. I suppose there would be a direct correlation between the debris field and the size of the object (Planet X). From my understanding the bombardment could last months or years. Again, this is theoretical. With luck, much of the debris will be sucked into the orbits of Jupiter and Saturn, but obvisouly there is no way to predict that. 3. If this indeed happens in the worst-case, I'd guess the chances are very high. 4. If we are talking scientifically, I too have read about an imminent pole shift. However, I've also read that there is little evidence of massive pole shift variation throughout our planet's history. Not sure what to make of it, but like Nibiru I put it in the category of "Things I Will Not Lose Sleep Over". Hope this is semi-helpful! I am happy to try to answer any questions you have, but again I think you might get more satisfying answers from someone with a deeper background in astronomy. I have been doing quite a bit of reading and research on the whole discussion since I joined your blog, and I have some questions. 1) Predictions are that when the solar body (either Nibiru, Planet X or whatever name we attach to it) passes the proximity of the earth, it will be approximately 4 AUs distance from us. Will it be affecting the Southern or Northern Hemisphere more? (I realize it will affect the ENTIRE earth, but just wanting to know which hemisphere will be more exposed to its influence. 3) Within the debris field of a solar body passing the earth, there are certainly going to be "extinction sized objects" traveling behind. I am somewhat hopeful that none that size will hit the earth's surface. What do you think the possibility of more truck size to a bit larger type of objects hitting the earth? 4) After reading some scientific journals on the topic of pole shifts, there is argument for massive change in the geography of the earth's continents, while others are more of the opinion that the poles will shift with little significant change in the geography of the continents. What do you think? thank you for answering these few questions and I will have more in the near future as I research more about the events which are most likely to affect us in the very near future it seems. It's supposed to not be something knocked of it's orbit, but having an elliptical orbit bringing it every 3,600 years between the earth and our sun, causing earthquakes, pole shifts, huge tsunamis, alteration of land mass through tectonic plate movement etc. They have apparently found whale bones in places there shouldn't have been whale bones, such as mountains. I wish there was some way to verify it, even though there are videos on YouTube showing it already visible in the sky in some parts of the world already. Supposedly before end 2017 it will be here. Hi jb2016. A rogue planet wouldn't need to reach Earth to cause devastation. It would simply need to disturb other smaller bodies enough to send them hurtling our way. Some comets take thousands of years to orbit the sun. If their orbits were disrupted in the past, they may be on a trajectory straight for Earth. The problem is astronomers can't monitor every single object out there, so we have no idea what might be coming our way. Quick question: Let's say for the sake of truth in the existence of planet X on the edge of the solar system. How long would it take for a 'planet X' or some other rogue object coming out of the Kuiper belt to actually reach the area of our earth to do its mass destruction? I really enjoyed reading this article since it is fresh in the news with all of the Internet craze going on about 2016-17 doomsday predictions. I personally believe that something IS out in our part of the galaxy that some day will engage the earth and wreak havoc on it, but trying to be optimistic about my lifetime. Thanks for the information. 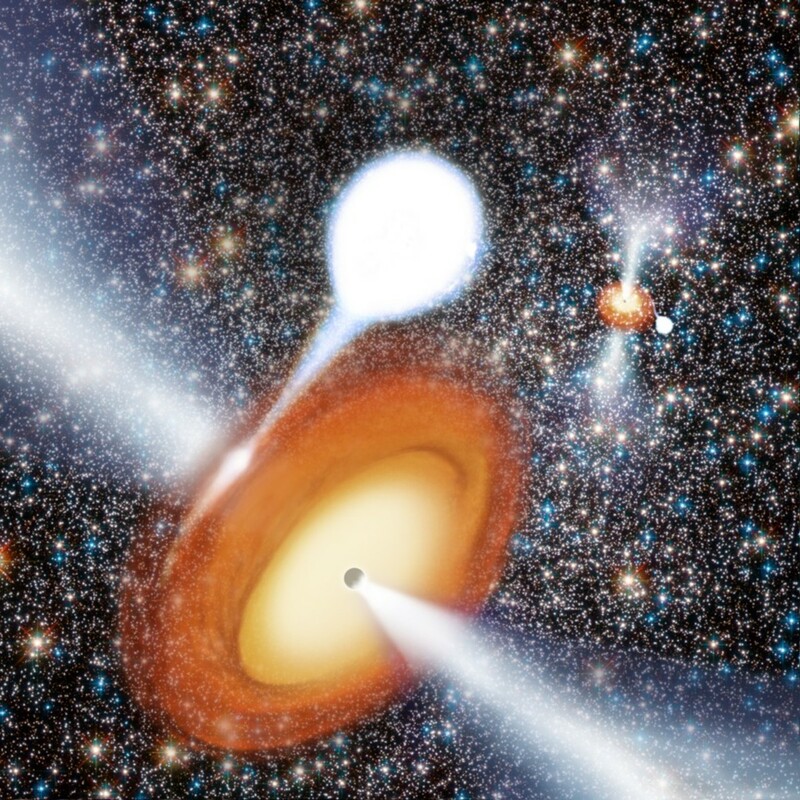 I am surprised by the mention of a planet "dislodged from its orbit." Why can't it just have a real orbit that could cause things like the asteroid belt or the many geographical anomalies we see on earth itself. While I don't pretend to understand all of the astronomical evidence, I do believe there is "forensic" evidence that we can observe that indicates some kind of cyclical event. We live i such a tiny context compared to the lifecycle of the solar system that there are likely many things we have not yet witnessed...or more menacingly, have witnessed and been unable to survive. I agree that only time will tell and there is not much we can do about it...but it seems there are some on earth who are much more in denial about how insignificant we are...and they are looking for ways to extend their meaningless lives. Think of mortality as a blessing...and transformation. A dead man should not wish to preserve his state. The "real third secret "'talks about a divine punishment from a celestial body that smashes into earth and causes rivers to overflow and many ocean upheavels! Major Ed Dames also talks of an emminent "kill shot!" If it comes around every 26 million years that man has not seen it so all of the ancient art and prophecies cannot be ? Yes, No maybe? I've been watching all the video's, looking at pic's, listening to talk radio & reading alot of scary stuff lately, with all the stuff thats going on around the world. Lots of crazy ****!!!!
. . . and mind you it is not just the ancient Sumerians but Mayans, Incas, Aztecs, Hindus, Chinese, Tibetans, Egyptians, and Native Americans (to name a few) that have oral and written histories describing this planet. Sitchin made the Sumerians and Annunaki famous with his Earth Chronicle series but many other civilizations have recorded it for us, as a warning. However then you throw in Harrington, Shoemaker, and Lowell to name a few astronomers that have revealed it and all the photographs, videos and even questionable 'channeled' info and you just have a plethora of data to chose from. And of course then you have me, the famous somethgblue and you know I wouldn't lie to you folks and BOOM, baby there is no reason for doubt. I still do not believe that a second sun can be out there without being seen. A dust cloud does not do it for me. We will have to wait and see, I am sure SKA will give us all the answers of what is out there close enough to have any influence on earth. Earth is going to burn for sure, but that will be because of the sun getting bigger and making flares. Interesting conclusions indeed, somethgblue. Thanks for sharing your thoughts! Interesting take on the subject and although I know that it is here, I won't be losing any sleep over it, after all why worry about something I have very little control over. My continued research on the subject as well as many others has lead me to references of its existence in a wide range of articles and books about the past and present, far too many to attribute to fantasy. However I have recently arrived at the conclusion that its presence is only intended as a spiritual wake up call, much like crop circles and UFO sightings and that its orbit is being manipulated to keep it from causing any serious damage to the planet. Those sneaky Russians! Seems like on odd tactic, but maybe they underestimate the US's capacity for ignoring impending doom. Also: Very interesting re: Sumarians. 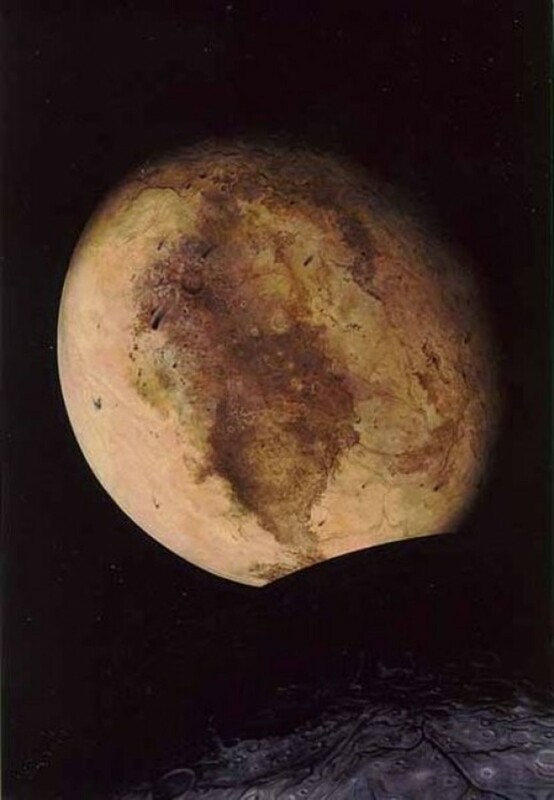 I just wanted to point out that, although we didn't discover Pluto until 1930, its existence was sufficiently documented in the Sumerian clay tablets. Perhaps this is one of the reasons that so many people believe the Sumerian prophecies to be accurate. However, its also important to acknowledge the fact that the Russians have already admitted that they have been intentionally spreading false information about such subjects, in an attempt to cause distrust in the US government (or so they say). Lunacy. What evidence is there to support any sound mind devoting it self to something so profoundly unlikely? Ancient writings? That is circumstantial at best, moreover, it in no way stands up to the empirical evidence of over hundred years to the contrary. Nibiru is real,it will be our neighbour in July 2012,THE 27 -28 TH JULY 2012,DOOMSDAY." Nibiru is not a small planet according to ancient writings, if my memory serves me right I believe it is about four times the size of earth. Hi Cryptid: Good read as it left some mystery, X marks the spot …..gold or goodbye. Makes me want to get out in the sun, which one I have no idea. Good read, enjoyed the suspense and we all know 12 is a luck number while 13 well that’s not so clear. Keeping an eye on the sky. Good take on the whole planet x thing. You gave some important insights that I did not know about. I myself have written a hub on the subject and took the point of view it was a bunch of hoopla! However....I still wonder, with reports of a "mystery star" being now visible. I am not one to buy into all the doomsday junk you find on the Internet. 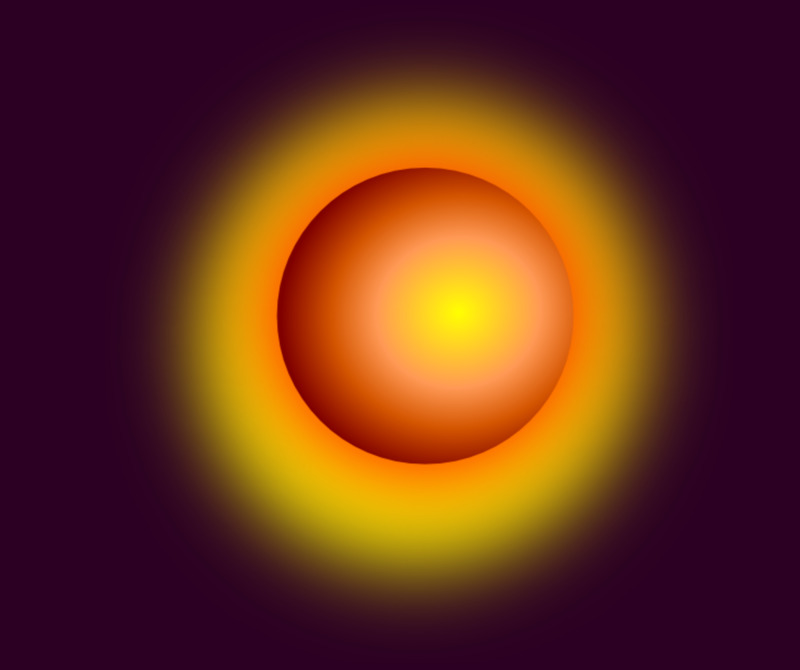 Nibiru is real,it will be our neighbour in July 2012,THE 27 -28 TH JULY 2012,DOOMSDAY. Thanks Scott! You are correct, of course. Edit made and credited to you! Good hub! Glad to see someone taking a fact-based approach to the subject rather than just spewing paragraph after paragraph of unsubstantiated fiction. Though I do need to point out a factual error - Ceres is a main-belt asteroid that was discovered back in 1801. Eris is the object that was discovered in 2005 and led to creation of the minor planet designation.